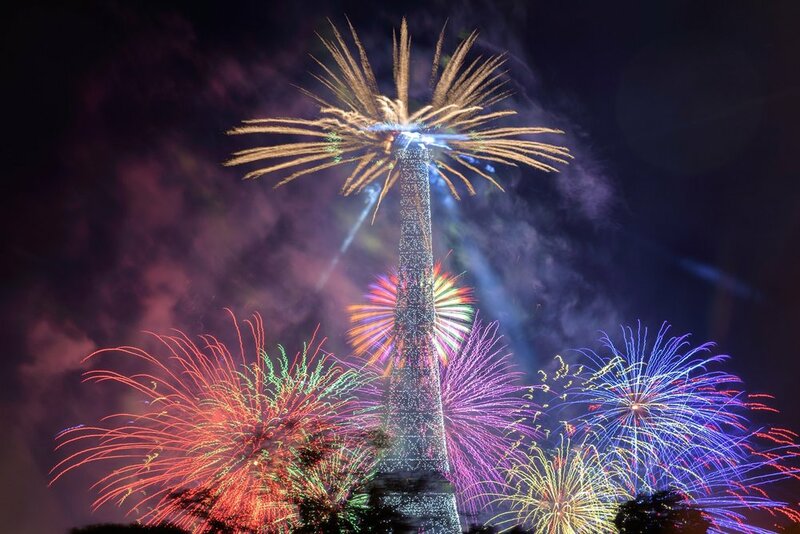 New Year’s Eve — or 'nouvel an' in French — in Paris is the most glittering night of the year. The place to be in the City of Lights for New Years is right in the heart of the city, by the Arc de Triomphe. Expect a special — and secret! — event starting at 11 p.m. For a sweeping view of the city rather than being in the thick of it, head up to Sacre Coeur in Montmartre, just on the outskirts of Paris. The plaza, in the bohemian district, offers plenty of bars and restaurants to tide you over into the next year. Make sure to try papillotes, which are fire-cracking chocolates traditional for the French new year. And of course — who could forget the champagne? Our favorite spot to ring in the new year? On the Seine, on a river cruise soaking in the lights and the festivities. Looking for somewhere more upbeat? There are lots of clubs where you can dance your way into 2018 — our favorites are Batofar and REX Club. A spectacular city to usher in 2018, London’s New Year's Eve celebration is full of music and fireworks. London has some of the most diverse food cultures in the world, so take your pick between a black-tie dinner at the Ritz, pub fare at the Grenadier, or the famous Duck & Waffle featuring live music this year. Catch the countdown and fireworks on the South Bank, at the London Eye. 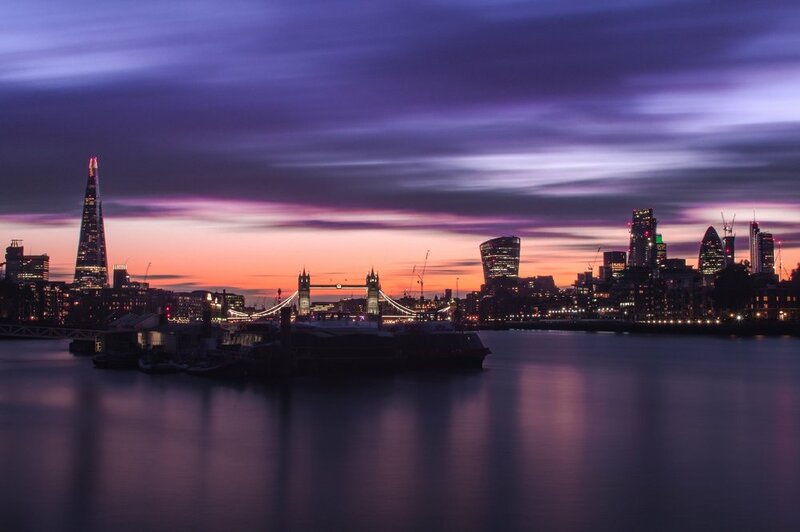 While there’s an entrance fee to be right up close to the action, we think a river cruise on the Thames right at midnight would give you an even better view of the London skyline aglow with fireworks. Looking to get all that dining and music and fireworks in at one sweet location? Look no further than the Southbank Centre’s Vintage NYE Party, your one-stop-spot for dancing, drinks, and a killer view of that firework display. Also worth noting, London’s tube transportation system will be free between 11:45 p.m. and 4:30 a.m. — might be crowded getting back to your hostel, but worth saving the euros you’d spend on a cab. No city throws a New Year’s Eve party like Barcelona, and this year is sure to wow. This year’s wacky celebration is centered around the Magic Fountain, located at the Plaça Espanya, and highlights the Catalan tradition of eating 12 grapes at midnight to ensure good luck in the new year. Featuring music, laser lights, water displays, and, of course, fireworks, join the locals at this bustling NYE party. Looking to dance the year away? Barcelona clubs have got you covered. Check out popular options like Sala Apolo in the El Poble Sec district or Pacha, which is located right on the Mediterranean coast. Whatever your plans are, remember to do as the locals do and eat 12 grapes at midnight to ensure good luck in the new year, and sip Cava wine instead of champagne to celebrate 2018! One of the most beautiful and romantic cities in Europe, celebrating New Year’s Eve in Prague will be a delight. While the city itself doesn’t organize any parties or fireworks, the Czech people are sure to come through with celebrations; many organizations and individuals set off fireworks at midnight from all around the city. The best spots for viewing? Overlooking the river (of course) at a spot like the Charles Bridge or on Petrin Hill in the Lesser Town, or in the middle of the action at a main square, like the Old Town Square or Wenceslas Square. Or better yet, grab some new friends from your hostel and a pack of firecrackers and create some New Year’s Eve magic yourselves! Grab a bite before the festivities at Cafe Mozart in Old Town Square to make sure you get a stellar spot for the fireworks, or enjoy your champagne atop Duplex’s rooftop terrace in Wenceslas Square. Make the rounds from square to square to the Charles Bridge, as this quaint and lively city is the perfect walking size. In Amsterdam, the city shuts down and lights up to celebrate the New Year. Public transportation closes down around 8 p.m., as do many shops, but the city squares get their party on and keep it going — for free — all night long. Join the locals at any of the public squares, like the Hague, where the official NYE countdown will be happening, or the Kop von Java to watch the official fireworks display. For those who can’t help but think “when in Amsterdam…” we’ve got parties on parties for you to choose from. Go vintage glam with the Great Gatsby Club at De Nieuwe HKL or dance with your friends at Happy New Year Feelings & Friends at Amsterdam Studio's. They’ll make sure you’ve got plenty of oliebollen — fried dough balls traditional for a Dutch NYE — and champagne to wash them down. Gather with one million other locals and tourists at the Brandenburg Gate to usher in 2018 in sophisticated style. You and your friends will love wandering the traditional German stalls of the market noshing on traditional German food, listening to killer live music and enjoying laser light shows. With a break at midnight for the fireworks spectacular, the party continues until 3 a.m. If you’re looking for a more low-key experience, look no further than Zitadelle Spandau, a gorgeous castle complete with light show and fireworks. Although a bit off the beaten path, Berlin’s awesome public transportation will make it super easy for you to return to your hostel after partying the night away at this cool castle locale. Of course, there are so many clubs to choose from if you’re looking to party with some of Europe’s hottest DJs — Funkhaus Berlin is bringing more than ten DJs in for the night, or hit up Humboldthain Club for a low budget, high key party. As one of the world’s most culturally sophisticated cities, Vienna has a variety of great options to celebrate the New Year. If you’re looking for an iconic experience, travel along Vienna’s New Year’s Eve Trail, starting in the old city center and going along City Hall Square and in the Prater. Stop at one (or two or three) of the gastronomes along the route offering punch, drinks, and great Austrian nosh. Music galore will also be in the city center, and the party lasts for a rocking 12 hours, from 2 p.m. to 2 a.m. Looking for a unique cultural experience for the night? Stop by the world-famous Vienna Philharmonic for a special performance, conducted by Riccardo Muti, or on a 5K run through the city as the clock strikes midnight, or waltzing the night away at the Hofburg Vienna. Our favorite ways to see the city aglow with New Year’s festivities? On the gorgeous Blue Danube on a river cruise, or high above it in a gondola on Vienna’s famed Giant Ferris Wheel. Wherever you find yourself this New Year’s Eve, we hope that you find the perfect spot to ring in 2018, whether that be fist pumping in a German club, toasting champagne on a Seine river cruise, or curled up at 9 p.m. in your Dutch hostel. Celebrate your way this holiday, and we at HostelPass wish you a happy new year!